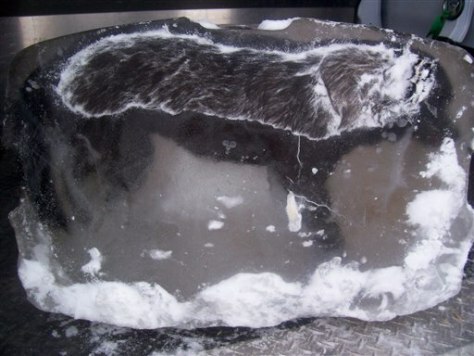 The British Columbia SPCA launches a cruelty investigation after a Dawson Creek resident found the body of a dead dog encased in a block of ice left on his front lawn. The homeowner made the discovery Jan. 15, but Marcie Moriarty, a spokeswoman for the SPCA's cruelty investigations. said the resident doesn't know the dog or any reason why the ice block would be left on his property. Investigators are also trying to determine the cause of death.